‘UFOne’ is a peach variety with a low winter chilling requirement of approximately 250 chill units (cu). Trees of ‘UFOne’ are of medium size and moderately vigorous with a semi-spreading growth habit. Trees of ‘UFOne’ are self-fertile and regularly bear heavy annual crops of early season fruit which are medium large for its mid-early ripening season. Fruit of ‘UFOne’ are very firm with a yellow, non-melting flesh which are semi-clingstone and a diameter of 2.5 to 2.75 inches.Fruit of ‘UFOne’ are uniform and substantially symmetrical in shape and have an attractive light red color over 40% of skin. Fruit of ‘UFOne’ which is exposed to sunlight has a higher degree of enhanced red skin. 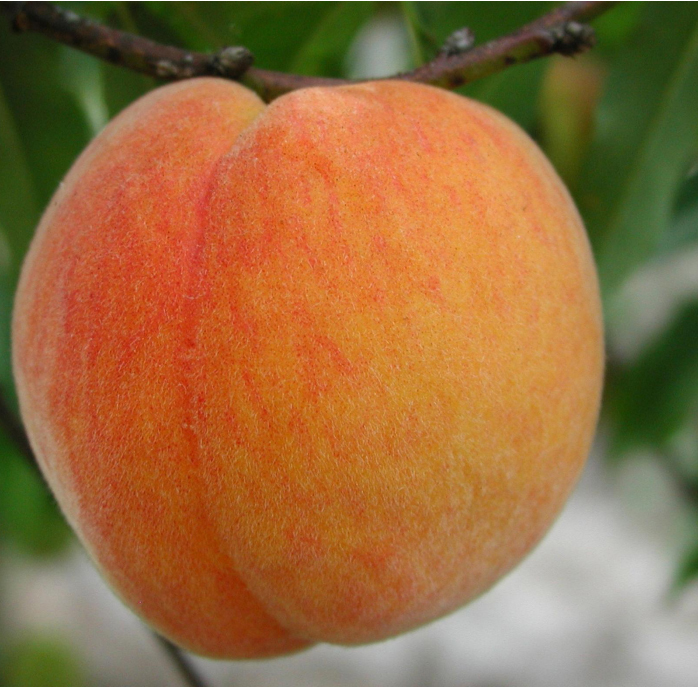 The fruit of ‘UFOne’ ripens about 95 days from full bloom, which is approximately eight (8) days after that of ‘UFBeauty’ peach in early May in Gainesville, Florida.